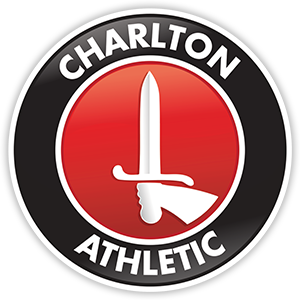 Charlton recorded their second league success of 2013 on Saturday and in doing so shrugged off their unwanted record of having not won at home on a Saturday all season. First half goals from Johnnie Jackson and Scott Wagstaff were enough to help the Addicks see off managerless Blackpool. The Londoners produced a solid and disciplined performance to extend their unbeaten league run to three matches. Manager Chris Powell rang the changes for the visit of the Seasiders, with centre back Matt Taylor making his Championship debut. Alongside him was Michael Morrison, and the returning quartet of Wagstaff, Jackson, Hamer, and Solly also came into the side following last week’s 1-0 defeat in the FA Cup. Therefore there was a central midfield trio of Jackson, Stephens and Pritchard. Scott Wagstaff, a surprise inclusion following a recent spell away from the club at Leyton Orient, was named on the left hand side of midfield with Lawrie Wilson over on the right, leaving Yann Kermogant to lead the line for the hosts. The Tangerines named a strong attacking side, with veteran Kevin Phillips named in between the dangerous Nathan Delfouneso and the highly sought after Thomas Ince up front. 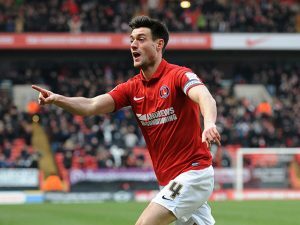 Two of the three combined three minutes into the match as Charlton went close to falling behind. Nice footwork from Delfouneso gave him the opportunity to cross to Phillips at the far post, but the journeyman striker was denied superbly by Matt Taylor on the line as the home side were able to clear. 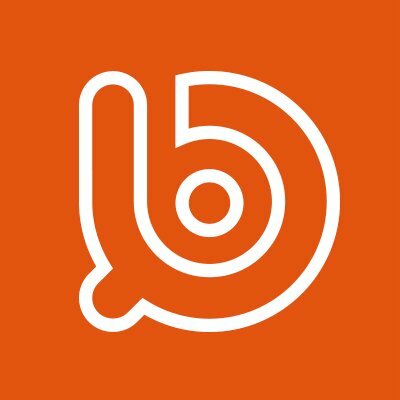 Blackpool named Chris Basham in the heart of their midfield, and the play-maker came forward menacingly shortly afterwards before firing a tame effort wide of Hamer’s goal. The hosts responded with a chance of their own as a Stephens corner was met by the head of Taylor, who this time was denied by Delfouneso down the other end. In what was looking to be an even contest it was the home side who grabbed the vital first goal. The energetic Scott Wagstaff gained possession and fed the ball to Chris Solly. Last seasons player of the year found the skipper whose shot eventually found the net. The ball wasn’t the most cleanly struck, but it didn’t matter as the Addicks went into the lead. Wagstaff’s persistence was almost rewarded again minutes afterwards. This time the winger skipped away from the Blackpool back line only to be mercifully chopped down by defender Neil Eardley. Bizarrely the defender went unpunished, much to the bemusement of players and manager Powell alike. A chance for Bradley Pritchard followed, but the midfielder saw his effort deflected wide. Up the other end, Alex Baptiste tried an audacious overhead kick that fell straight into the arms of Hamer. As the half drew to a close Charlton managed to find the killer goal that really put the game to bed before half time. The lone striker Yann Kermogant spread the ball wide to Wilson before powering into the box to meet the ball with a thumping header. Gilks did well to save but could do nothing about the rebound as Wagstaff was on hand to grab his first league goal of the season. The winger wheeled away in delight and after a frustrating few months it was the perfect way to stake his claim for a run in the side. The second half was a matter of seeing the game out as in truth the visitors had rarely threatened the Addicks rearguard. But Blackpool began the half the stronger and young starlet Thomas Ince – who had been surprisingly quiet so far in the contest, was looked dangerous for the visitors. Caretaker manager Steve Thompson introduced Gary Taylor-Fletcher and former Charlton loanee Nathan Eccleston who rightly received a warm reception, before Ince tried his luck from long range but failed to find the target. The fact that the home side were restricting their opponents to such speculative efforts shows just how well the team was defending as a unit, especially with talented attackers such as Ince, Phillips and Delfouneso. Powell sent on youngster Callum Harriott for his league debut and the winger didn’t take long to catch the eye. The winger picked up the ball on the left hand side and showed great feet to bamboozle defender Stephen Crainey and win his side a corner. Sadly the corner came to nothing, and Ince almost caught Charlton cold at the back as the home side uncharacteristically switched off in defence. Just as it looked like Charlton were set to keep their first clean sheet for well over a month Nathan Eccleston grabbed a late consolation for his side to give the travelling Tangerines something to cheer. The striker hit the ball on the volley and took his chance with aplomb, but there was no time for Blackpool to threaten again late on and the hosts were able to celebrate the victory.